When we was in Halifax the Doctor purchased a large number of special jars for those fishes, livers, brains, lizards and such things that he keeps pickled in spirits. A sad waste of spirits it is too. He planned to collect many new things if we was sent to Bermuda. He left the Frenchman that is his mate and his man Vasserman to repack them in shavings and straw to protect them on the voyage. I was on deck when they handed them aboard. As soon as I had one I knew it was too heavy by twice for what it should be. “Whats in here?” I say to the Frenchman but he just says “jen say pa” like he does not speak good English, which he does, so I look at Vasserman- who is dumb- and he writes on a little paper pad he carries “doctors jars”. “Too heavy Mate” I tell him, and they give each other a look, and the Frenchman tells me to just keep mum and I will see when they are stowed. So once we are below we get off by ourselves and they open a case. 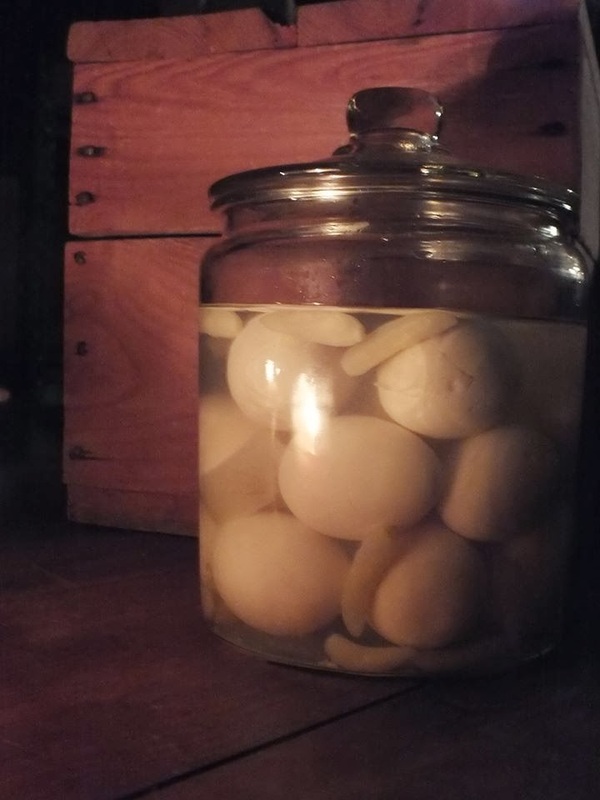 It’s the Doctor’s jars right enough, but each one is filled to the gills with pickled eggs. They told me that if I would keep their secret they would share them. I suppose they figured the Doctor would not have approved. Where they got them I never knew, because so many would have cost a pretty penny. Pulled some manner of purser’s trick I reckon, probably the Frenchman because deceit is just part of their nature. In any case they was good to their word and shared them equal and I was good to my word and never told another soul, and every jar was empty by the time the Doctor set foot on Bermuda.